If you have followed my blog on a regular basis, then you know that I am not a loyal proponent of organized religion. I consider my focus on God and the Universe as spiritual and not religious. I believe ritualistic and or dogmatic rites like “holy sacrament” and other religious trappings are unnecessary weight on the road to enlightenment and wellness. From the Universe our energy is born. We do not need to be held prisoner of our evolution by wasting time with the crude and unnecessary. Now it is time to weigh in on the rituals of Reiki. Reiki is a great healing technique and I have personally trained under a Reiki Master learning several levels of skill. Unfortunately, there is one drawback to Reiki and that is its reliance on sacred symbols, specific techniques and the teachings of one man. Dr. Usui. Usui-Sensei was born on August 15th, 1865 in Japan. As a young child he excelled in school and early on showed much scholarly ability. After growing up, he went over to Europe and America, and also studied in China. During the early 1920s, Usui did a 21-day practice on Mount Kurama called Kushu Shinren, (which is a form of shugyo, also known as discipline or training). Common belief dictates that it was during these 21 days that Usui developed Reiki. The symbols that are used today supposedly arose in Dr. Usui’s mind during meditation as did the Reiki Precepts (among other rituals and rites). I want to be extra careful in my explanation because I truly believe Reiki is a great therapy and it is a wonderful gift for healers and those in need of healing. Still, there are many schools of energy healing available to the holistic minded including, Bio-field Energy Healing, Spiritual Healing,Contact Healing, Karuna, Seichim, Therapeutic Touch and Qigong. My point is this; you do not need to spend hundreds or thousands of dollars learning sacred symbols or rituals born out of the mind of one man. You have the ability and choice to learn bio-energy healing without prescribing to one specific method. As with religion, there are many paths to God. There is no right or wrong way to find God. The same can be said for energy healing. This energy already exists within and all that is required are two major factors in determining the success of healing. These are confidence and intent. Do not let strict symbols and techniques be stumbling blocks. Attachment to these symbols or tools as a concept or belief system is just as separate and limiting as any religious belief system. When you connect to the sublime quantum energy that surrounds us, there is no need for symbols or systems of dogma – everything you need is already within. It just requires a little confidence and the intent to heal. In the coming days/weeks, I am going to focus more on Reiki and Energy Healing. As you all know by now, I am publishing a new book, The Responsive Universe; set to release later this summer. I am already writing its follow-up which will be more of a work-book than a novel. 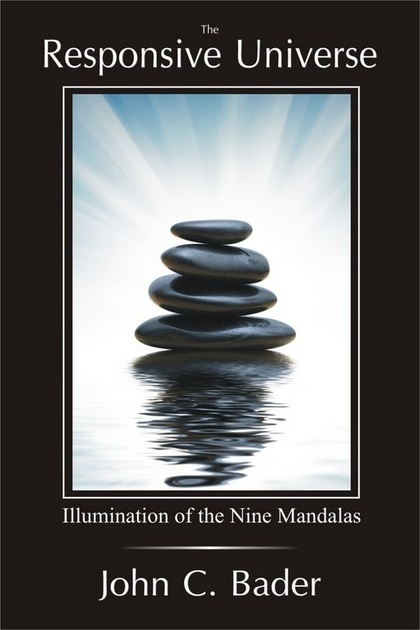 The Illumination of the Nine Mandalas (scheduled release for New Years, 2013) will focus almost exclusively on meditation, energy and energy healing. Happy Friday Word Press Nation! I agree. I was “trained” in Reiki a short time after I started my spiritual journey. I was amazed at it but was always a bit apprehensive about needing to have “power” transferred to me and pay a lot of money to become “certified.” Since then, I’ve realized we all have access to universal energy and it’s our own intent that causes it to be used in constructive and healing ways. The hand positions in Reiki training are very valuable but the dogma behind it feels a little too much like organized religion to me. Now, I simply know that we all have the same access to power and it can be directed through our own individual consciousness in whatever way we choose. As a Reiki Master, I know I am moving energy for healing work. As an energy worker, I know that this healing energy is the same, no matter if I call it Reiki, or Therapeutic Touch, or Bio-field Energy Healing, or Joe. It took teaching my husband Reiki without symbols to teach me that I did not need them either. Intention is indeed everything.